Malachite collection features a classic, corner tub design with an oval opening that will fit perfectly into any bathroom design setting. Moulded seat provides comfort and safety. 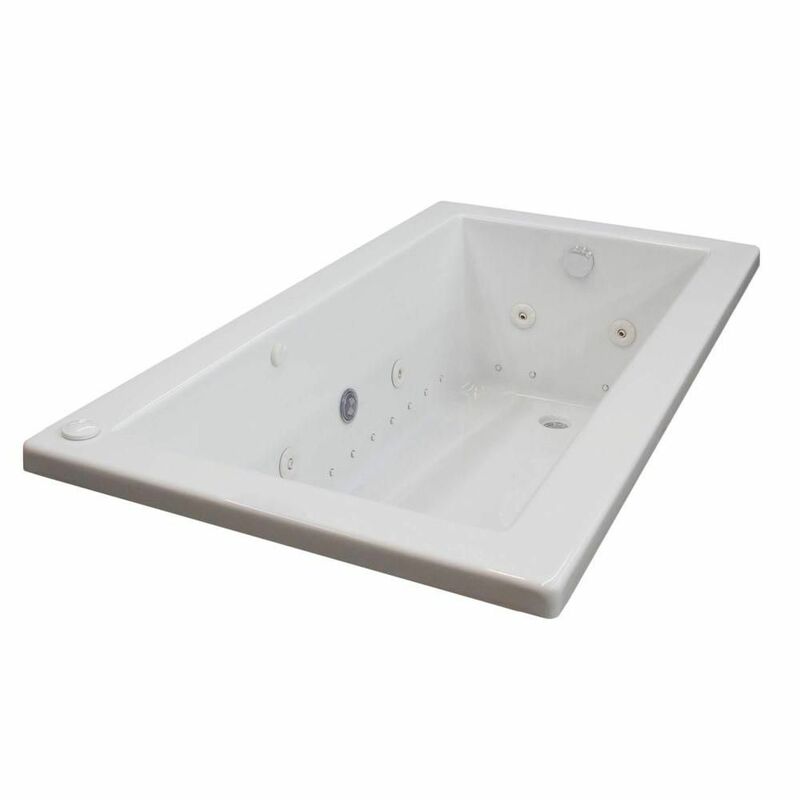 Sapphire 5 ft. Acrylic Drop-in Left Drain Rectangular Whirlpool and Air Bathtub in White is rated 5.0 out of 5 by 1. Rated 5 out of 5 by whitneym from Great jet tub Very powerful jets give for nice relaxation. Very well quality built-no leaks no problems. Nice size and very deep!